UFO SIGHTINGS DAILY: Alien Life Form Found Near Mars Rover Landing Spot, Looks Like Shrimp, April 2019, UFO Sighting News. 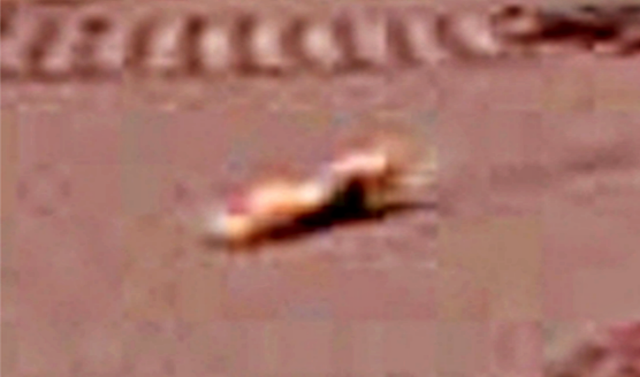 Alien Life Form Found Near Mars Rover Landing Spot, Looks Like Shrimp, April 2019, UFO Sighting News. 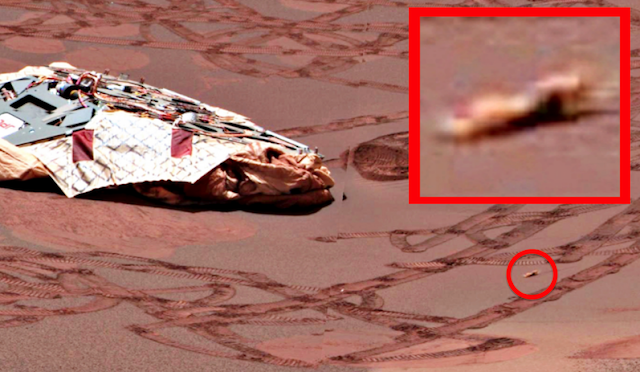 Today I found a lifeform on Mars near the rover landing site. The creature appears to be shrimp-like. If you think about it, it makes a lot of sense. Here on earth brine shrimp live in a dormant egg state in the dry desert sand until a rain comes to bring them back to life again. They can exist as an egg in the dry desert sun for hundreds and even thousands of year before the next rain comes to awaken their life cycle. 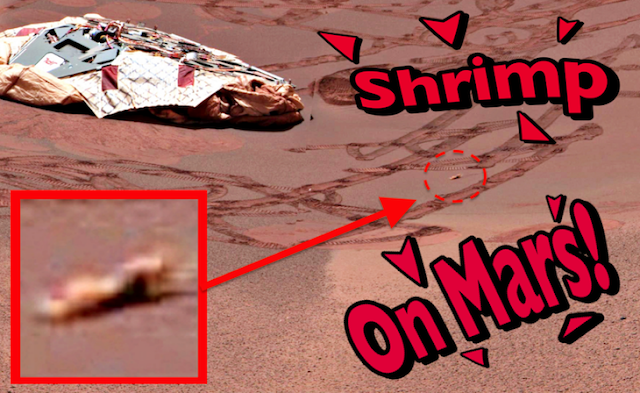 Shrimp can exist in the driest of conditions...like Mars. As they said in the movie Jurrasic Park, Life...finds a way.